“Then Peter said unto them, Repent and be baptized every one of you in the name of Jesus Christ for the remission of sins, and ye shall receive the gift of the Holy Ghost. For the promise is unto you, and to your children, and to all that are afar off, even as many as the Lord our God shall call” (Acts 2:38-39). Few passages have undergone such a varied application by sound brethren as has the latter portion of Acts 2:38. What is “the gift of the Holy Ghost”? (1) Is it literally the Holy Spirit Himself; is this a literal, bodily or personal indwelling verse? (2) Is the “gift” miraculous and equal to “gifts” of the Spirit (1 Corinthians 12:4)? (3) Is it salvation as a “gift of the Holy Ghost,” comparable to the “remission of sins” in the same reading? Further, to whom is “the gift of the Holy Ghost” promised? (1) Was it promised to every person who obeyed the Gospel in the first century? (2) Was the “gift of the Holy Ghost” promised to every person who obeyed the Gospel in the first century and each subsequent generation, including our own? (3) Is it a promise to every class of people in the first century? (4) Is “the gift of the Holy Ghost” a promise to every class of people in the first century and each subsequent generation, including our own? Still, another question begs to be answered. How and when were the recipients of the promised “gift of the Holy Ghost” to receive the same? (1) Was “the gift of the Holy Ghost” to be received simultaneous to one’s baptism, administered by heaven as the water baptism was administered by the hands of mortal men? Is a heavenly administered “gift of the Holy Ghost” occurring today as men and women are immersed in water by their fellows? (2) Is it possible that the “gift of the Holy Ghost” was administered at times and by means not stated in the context in which Acts 2:38 appears? Another series of questions also relates to the reception of “the gift of the Holy Ghost.” (1) Was the promised “gift of the Holy Ghost” intended to be a permanent, ‘can’t-lose-it’ commodity? (2) Was it a permanent, ‘can-lose-it’ possession that the recipient could lose, later receive and still later, lose again? (3) Was “the gift of the Holy Ghost” a temporary manifestation of the Holy Spirit’s power? Finally, (4) what was the intended purpose of “the gift of the Holy Ghost”? There are answers for these questions and perhaps a few more questions and answers that one might pose respecting Acts 2:38b. Many of the answers, though, partially or wholly conflict with those of other Christians. Therefore, at least some of those answers must also conflict with God’s Word. They cannot contradict each other and all answers be true. Correct answers to the above questions must comply with both the immediate context in which Acts 2:38 appears and with parallel biblical contexts. The immediate context includes: (1) the Holy Spirit baptism of the twelve apostles (Acts 2:1-4), (2) the manifestation of the baptism of the Holy Spirit upon the apostles (Acts 2:5-13), (3) the explanation of the manifestation of the baptism of the Holy Spirit upon the apostles (Acts 2:14-21), (4) the preaching of the Gospel of Christ (Acts 2:22-40), (5) the result of preaching the Gospel (the conversion of sinners and establishment of the Lord’s church). The promise of “the gift of the Holy Ghost” in Acts 2:38b and 39 is a reiteration of the prophecy of Joel (Joel 2:28—3:2), which the apostle Peter recalled in Acts 2:16-22. The apostle with the “keys of the kingdom” (Matthew 16:19) unlocked the doors of the church. He, with the other apostles, began to infallibly and by inspiration preach “concerning the kingdom of God, and the name of Jesus Christ” (Acts 8:12; 2:4-40). Peter explained that the miraculous power with which he and the other apostles could preach in languages (tongues) in which they had not been schooled was the fulfillment of Joel’s prophecy. Joel’s prophecy, though, was not to the apostles only. It was not even to be enjoyed by the male gender alone. So, in Acts 2:38b and 39 Peter reaffirmed that the promise of Joel (miraculous power through which the New Testament church was birthed) was promised for other Christians as well. The “promise” (Acts 2:39) about which Peter was speaking was the promise of Joel, first executed in the baptism of the Holy Spirit upon the apostles and to be further executed upon other Christians as well. Verse 39 identifies general categories or classes of people (Christians) in whom the promise of Joel would be fulfilled. “For the promise is unto you, and to your children, and to all that are afar off, even as many as the Lord our God shall call.” Territorially, Acts 2:39 compares to Acts 1:8. “But ye shall receive power, after that the Holy Ghost is come upon you: and ye shall be witnesses unto me both in Jerusalem, and in all Judaea, and in Samaria, and unto the uttermost part of the earth.” Though the apostles in particular and Jewish Christians in general did not readily realize the significance and scope of either Acts 1:8 or Acts 2:39, the blessings of the Gospel and miraculous power, too, were always intended for: (1) the Jews, (2) the Samaritans, (3) the Gentiles and (4) all classes of mankind. Simply, the promise of Joel or “the gift of the Holy Ghost” (Joel 2:28—3:2; Acts 2:16-22; 38b-39) is the miraculous manifestation that accompanied the birth and infancy of the Lord’s church. Joel’s prophecy began to be fulfilled in the baptism of the Holy Spirit that the apostles received and was further fulfilled in the miraculous endowments available to other Christians throughout the first-century infancy of the church. Not addressed in Joel 2:28—3:2; Acts 2:16-22; 2:38b-39 is precisely when and in what manner the promise of Joel or “the gift of the Holy Ghost” should be received. To learn these details, one must turn to other passages in which miraculous gifts are discussed. For instance, the apostles Peter and John (Acts 8:14-17) and the apostle Paul (Acts 19:1-6) conferred miraculous power (the gift of the Spirit) through prayer and the imposition of their hands upon candidate Christians. In Acts Eight above, the reception of what Acts 2:38b calls “the gift of the Holy Ghost” was received (1) after conversion, consistent with Acts 2:38, and (2) by the laying on of apostles’ hands. Acts 8 does not specifically use the terminology “gifts” or “gift,” but twice “receive the Holy Ghost.” Yet, Bible students recognize the context speaks of the transferal of miraculous power (gifts of the Spirit). No other association is made between the Holy Spirit and these new converts at or following their baptism. Those converts had not been visited at or after their baptism by the Holy Spirit for any reason until they received the gifts of the Spirit. If Acts 8:12-17 is an enactment of Acts 2:38-39, the reference to the Holy Ghost in Acts 8, gifts of the Spirit and “the gift of the Holy Spirit” are the same. Admittedly, Acts 2:38a is enacted in Acts 8:12-17. If Acts 2:38b is not enacted in Acts 8:12-17, then (1) there is no mention of “the gift of the Holy Ghost” in this conversion context, (2) something else entirely is substituted in place of “the gift of the Holy Ghost” and (3) Acts 8:12-17 is and it is not at the same time an enactment of Acts 2:38. Those disciples had not been visited by the Holy Spirit at all before the appearance of Paul. The only reference to the Holy Spirit in this context pertains to gifts of the Spirit. Therefore, if Acts 19:1-6 is an enactment of Acts 2:38, “the gift of the Holy Ghost” and miraculous gifts of the Spirit are the same. If Acts 2:38b is not enacted in Acts 19:1-6, then (1) there is no mention of “the gift of the Holy Ghost” in this conversion context, (2) something else entirely is substituted in place of “the gift of the Holy Ghost” and (3) Acts 19:1-6 is and it is not at the same time an enactment of Acts 2:38. The prophecy of Joel was not completely fulfilled by the apostles’ reception of miraculous power. That prophecy reiterated by Peter (Acts 2:16-22; 2:38-39) was fulfilled by the reception of miraculous power by other Jews (Acts 1:8; 2:38-39), Samaritans (Acts 8) and Gentiles (Acts 10—11). However, the purpose of miraculous power (Mark 16:17-20) was not fulfilled simply by its reception by Gentiles. Miraculous power was never an end of itself, despite the abuses of miracles by the early church (1 Corinthians 12—14) and the fascination with the miraculous (though we have no ongoing Bible-grade miracles today) by contemporary religious people. The conclusion of miracles, consistent with their fulfillment in promise and purpose, hence Peter’s promise (Acts 2:38b-39) and Joel’s prophecy (Joel 2:28—3:2), is evident from two factors. (1) The Bible teaches the temporary nature and ultimate cessation of miracles (1 Corinthians 13:8-13; Ephesians 4:11-14). (2) Examining the prophets (Deuteronomy 18:21-22) and trying the spirits (1 John 4:1), it can safely be ascertained that true, biblical miracles are not being performed by either man or God today. The second factor relates to the first, since what God has said through His Word is the test to be applied to prophets and miracles alike. Even if we thought someone exhibited a miracle, or something for which we had no satisfactory explanation, we would be compelled to rely on God’s Word, which clearly teaches miracles have ceased. The purpose of miracles was fulfilled with the collection of written revelation, “the perfect law of liberty” (James 1:25; 1 Corinthians 13:10), near the close of the first century. It is possible that inspired men participated in the compilation of those inspired writings that assembled we call the Bible. The purpose of miracles was to deliver and confirm revelation from God (Mark 16:20; John 20:30-31; Hebrews 2:3-4). If not exactly when the Word was sufficiently confirmed, then certainly when the last apostle and the last person upon whom an apostle laid his hands died, miracles among men forever came to an abrupt end. (The next miracle will attend the Second Coming of our Lord and subsequent Judgment.) Therefore, miracles (the product of Joel’s prophecy, Joel 2:28-3:2; Peter’s promise, Acts 2:38b-39; “the gift of the Holy Ghost” and “gifts” of the Spirit, 1 Corinthians 12:4) have gone the way of the phrase “Thy kingdom come” (Matthew 6:10) in the Model Prayer. There was a place for “thy kingdom come” in prayer, but there is not now a place for “thy kingdom come” in prayer since the kingdom has been established (Colossians 1:13; 1 Corinthians 15:24-28; Revelation 1:9). There was a place for the prophecy of Joel, the promise of Peter, “the gift of the Holy Ghost,” “gifts” of the Spirit or miracles, but there is not now a place for these (which are the same). Quotations of themselves for the sake of quotations establish absolutely nothing. Divorced from whatever scholarly proposition they portray, they amount to attempts to engage in a popularity contest based on people’s names or reputations. However, the diversity of positions entertained by scholarly and sound brethren indicate the difficulty with which mortals have examined a topic. As one might expect, there are numerous conflicting views respecting “Acts 2:38 and the Gift of the Holy Spirit.” Further, two or more quotations from the same man, written at different times, may not agree. This is also sometimes true regarding the topic presently under scrutiny. The reader may not be surprised that some brethren disagree with this presentation of “Acts 2:38 and the Gift of the Holy Spirit.” Following are three quotations from highly esteemed brethren of years gone by whose views of Acts 2:38 differ from mine. He further makes the astute observation: “…many of the exhortations of the New Testament writers were to a church whose members were filled with the supernatural power of the Spirit, and should be interpreted in the light of that fact” (Sweeney 95). A thorough, yet concise, and true analysis of Acts 2:38b comes forth from the able pen of brother Guy N. Woods. The following excerpt is found in Questions and Answers, Open Forum, Freed Hardeman University Lectures, on pages 54-59. That book is volume one of a two-volume set; the first in the series is published by Freed Hardeman University (Henderson, TN), whereas the second is published by the Gospel Advocate Company (Nashville, TN). These books are vital acquisitions to any Christian’s study library. The “gift of the Holy Ghost” (Acts 2:39b) is firmly held to be a reference to miraculous gifts typically received through prayer and by imposition of an apostle’s hands upon a Christian in the first century. The baptism in the Holy Spirit that the apostles received and “the gift of the Holy Ghost” is further believed to be the fulfillment of Joel’s prophecy and Peter’s recollection of that prophecy. The duration of those miraculous gifts was regulated by their purpose (Mark 16:20; Hebrews 2:3) and the life spans of the apostles and those upon whom they laid their hands to impart this power. The “gift of the Holy Ghost” is not the Holy Spirit himself. It is not a personal, literal or bodily indwelling of the Spirit. Neither is “the gift of the Holy Ghost” pardon or remission of sins. However, the Acts 2:38b controversy among brethren is relatively moot. As long as brethren continue to affirm that the Holy Spirit does not impact, influence, lead or instruct man’s heart apart from the Word of God, there is little immediate harm. However, as brother Woods indicated, the potential for great harm to individual Christians and the Lord’s church is inherent, though dormant, to this theory. Troubling and telling, the more brothers or sisters talk about the supposed literal, personal, bodily indwelling of the Holy Spirit, the more apparent it becomes that they have come to believe in something extra happening within them and to them beyond the Word of God. Like Pentecostals and charismatics, some brethren who are enamored with the so-called literal, personal, bodily indwelling of the Holy Spirit verbalize their doubts toward their brethren that they cannot even be true Christians without agreeing with them on this. I am terribly afraid that brethren of this persuasion are merely closet Pentecostals whose emotions are in overdrive. Contemporary history seems to bear this out. Camp, Franklin. The Word of the Holy Spirit in Redemption. Birmingham: Roberts & Son P., 1974. Lipscomb, David, and E.G. Sewell. Questions Answered by Lipscomb and Sewell. A Compilation of Queries with Answers by D. Lipscomb and E.G. 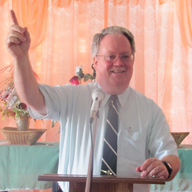 Sewell, covering a period of forty years of their joint editorial labors on the Gospel Advocate. M.C. Kurfees ed. Nashville: Gospel Advocate, 1969. McGarvey, J.W. A Commentary on Acts of Apostles. With A Revised Version of the Text. Seventh ed. Nashville: Gospel Advocate, n.d.
Milligan, Robert. Exposition and Defense of the Scheme of Redemption As It Is Revealed and Taught in the Holy Scriptures. Nashville: Gospel Advocate, 1972. Sweeney, Z.T. The Spirit and the Word. Nashville: Gospel Advocate, n.d.
Woods, Guy N. Questions and Answers. Henderson: Freed Hardeman U. Lectures, 1976.